Do you remember the last time you went out of your way to show your customer that you cared about them? Are you working on building an ongoing relationship with them? If the answer is no, then it might be time to rethink how you prioritize your customers. As a business owner, you should know that your customers are your best asset and these days it takes much more than great service to retain them. A recent study showed that 68% of people will leave a business because of “perceived indifference.” This means that 7 out of 10 of your customers will leave because they believe you don’t care about them. Showing your appreciation and investing in their happiness should pay off in the long run. We’ve come up with five unique ways to make your customers feel appreciated and turn them into loyal advocates. Next time a customer orders from your site or visits your store, try thanking them for their business with a handwritten note. Handwritten notes are a rarity in this digital age but can go a long way towards developing a strong connection. This is an inexpensive way to show that you appreciate what your customers do for your business. When writing a thank you note, be sure to personalize the message to the recipient. Generic messages don’t feel authentic, so tailoring the message to the specific individual is the way to do it. Remember that the note should thank them for the time and resources they have spent to support you. For more tips on how to write the perfect thank you note, check out this post from Hubspot. Consumers want to be associated with brands that are open to their feedback, understand their concerns and enforce change. So, be sure to stay alert to any feedback, requests or criticism you may receive. Taking the time to make these changes shows that you want your customer to be heard and care about making their experience with you better. 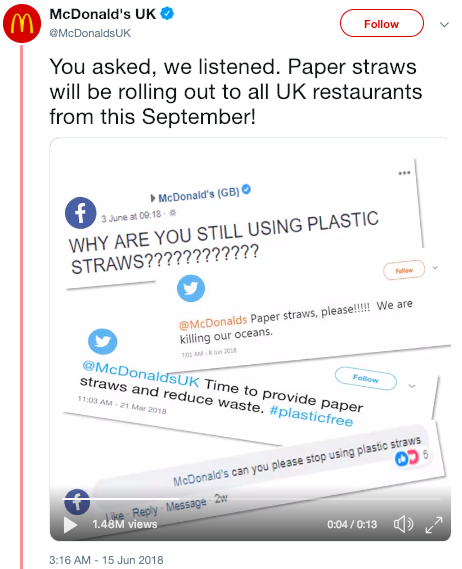 A prime example of this happened when McDonald’s UK announced they were ditching plastic straws. This move came as the result of pressure from a customer-led petition with almost 500,000 signatures. McDonald’s UK publicly announced that they heard the concerns and responded with change. More than ever, customers are relying on one another to make informed purchasing decisions. In fact, a survey found that 90% of customers say their buying decisions are influenced by online reviews. 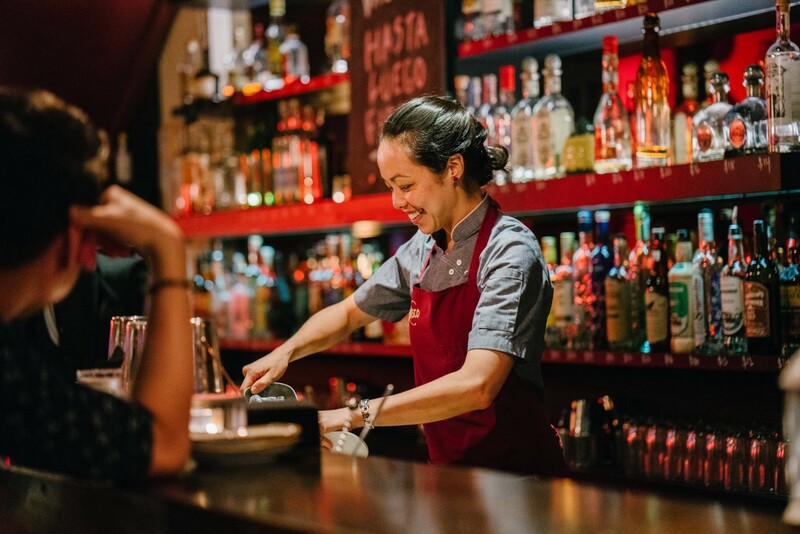 With the rise of review sites like Yelp, people are making choices solely on your online rating and what people are saying about their interactions with you. The good news is that two-thirds of all Yelp reviews are either four of five stars, which means users are logging on to rave about their experiences. When a customer takes the time to praise your business, reward them by offering them special perks. Reply to their review letting them know how much you appreciate their support and that you want to give them something in return. This also sends a message to other visitors that you value your patrons. Keep in mind that it is prohibited by law to offer perks for future reviews, but completely legal to offer a reward after someone leaves a review. Honda created the#HondaLovesYouBack campaign to celebrate their customers and thank them for their support. 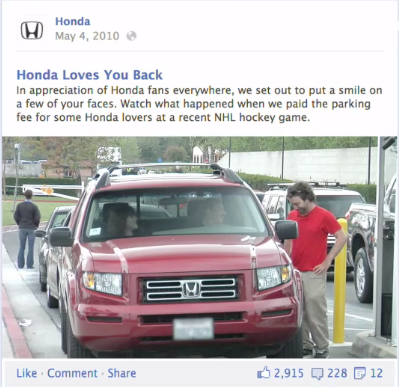 When they reached 1,000,000 followers on Facebook, Honda celebrated by paying tribute to their most loyal fans. They took photos of employees doing the same things customers had done for the brand, such as mowing a customer’s name on their lawn and shaving a customer’s name onto their head. This campaign showed customers Honda’s genuine appreciation for all that they had done to support the brand. Your campaign might be a monthly customer spotlight, giveaways to devoted followers or something along the lines of what Honda did. Just remember that it’s not about the number of clicks or impressions but about appreciating those that are loyal to your brand. Who wouldn’t want VIP treatment from their favorite brand? When customers learn about exclusive sales or have access to a members-only lounge, they feel like they’re part of a special club. Establishing a rewards program is a great way to build a rapport with your customers and encouraging them to become brand advocates, all while making them feel appreciated. Research has also shown that incorporating VIP perks into your loyalty program acts as an incentive to join. A survey from Technology Advice found that 56.8% of consumers are more likely to participate in loyalty programs if they can get exclusivity-based rewards. 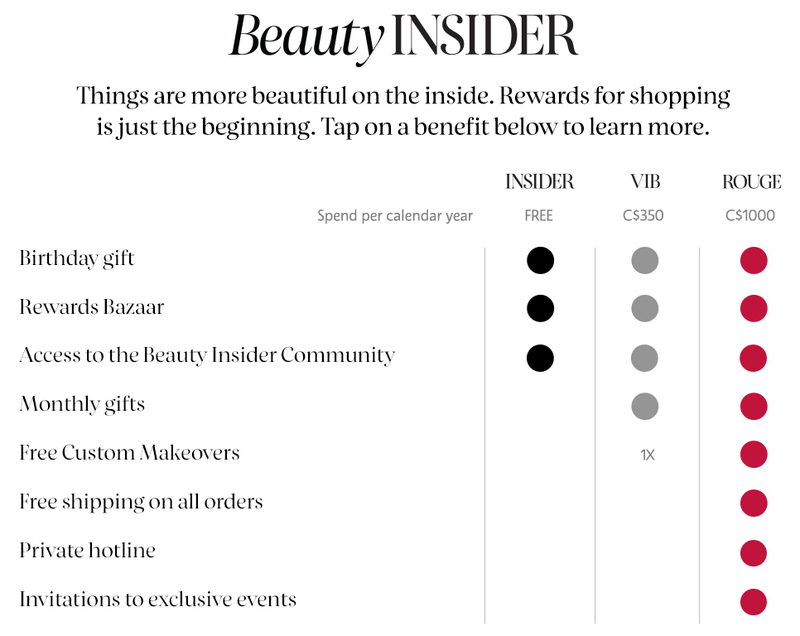 Sephora’s Beauty Insider program is one of the best tiered programs out there. Just for signing up, customers are rewarded with a birthday gift, rewards and access to Sephora’s community. VIB and VIB Rogue members who have spent a significant amount at Sephora are given exclusive products, special deals and experiential rewards. The distinction in the tiers and extra layer of exclusivity makes the VIB Rogue status that much more valuable. Brands like Sephora are reminding their top spenders just how important they are with these special benefits. Need help deciding on which loyalty program is the right fit for your business? Check out this article on Forbes so you can make the right choice. Even though it’s the month of love, make sure your efforts are year round. Rather than thinking of your customers as just another transaction, treat your relationship with them as a partnership. It’s easy to see them as a number but taking these steps to show them that you care will go a long way towards building a fruitful connection.